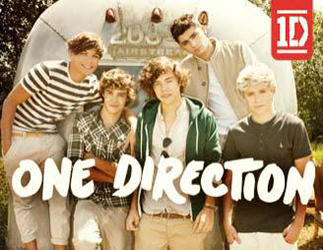 2013 Panini One Direction trading cards may not be your ideal release. But maybe there's a young one in your family you're hoping to pass the collecting bug onto. Combining cards with one of the most popular bands in the world, the set delivers a fairly straightforward configuration. The base set has 100 cards. Besides shots of the band, the checklist includes four different nine-card puzzles -- perfect for binder display. Harry, Liam, Zayn, Louis and Niall are all here in Panini's first set of traditionally sized One Direction trading cards. The company released other products for the band, but they have either been stickers or over-sized cards. 2013 Panini One Direction has a handful of inserts, each of which has a Stardust Double Rainbow foil parallel. The set is rounded out by Stickers. There are 15 in all that highlight different slogans and popular One Direction songs. 2013 Panini One Direction trading card packs come with ten cards and one sticker. Where are the autographs or relics, that is what!! !